How Much Money Will Norwegian Lose Operating The HiFly A380? Be sure to read part two here: Could Norwegian Operate An A380 Long Term? 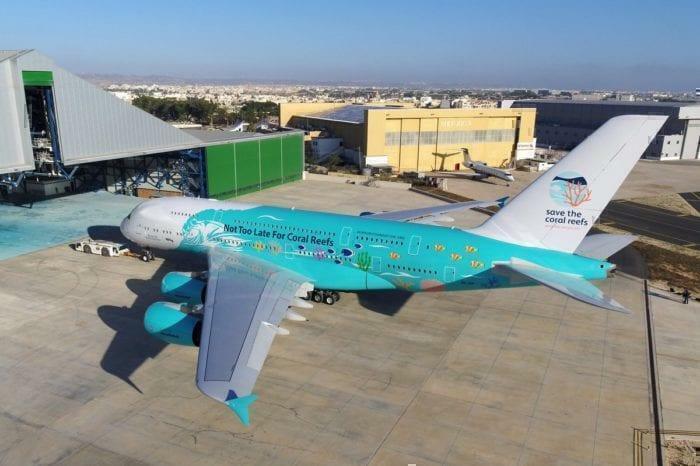 HiFly has been making some serious waves in the aviation industry by becoming the first ‘wet-leasing’ airline to own and operate an A380. ‘Wet-leasing’ is a term to describe a short-term rental of an aircraft, that includes complimentary fuel and crew (practically the same as a private charter) as opposed to a long-term lease in which only the physical plane itself is rented. One of the first customers of this ex-Singaporean HiFly A380 is Norwegian Airways who has taken the craft for the remainder of August to run its London to New York route (Replacing their Boeing 787 Dreamliner that is suffering mechanical problems). 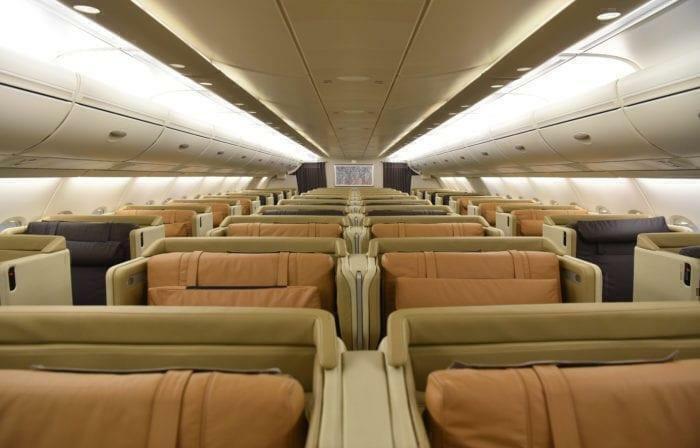 The plane is still rocking Singapore Airline’s interiors, including 12 first class suites and 60 lay flat business class seats. Norwegian does not offer a price category higher than premium economy, so 12 lucky passengers will get a very luxury experience. The plane is flying daily between London Gatwick and New York. It will run between August 3rd and August 23rd. Norwegian is famous for having dirt cheap prices, operating a low-cost long-haul operation that fuelled by customers paying for extras, from baggage to food, to pillows to headphones. 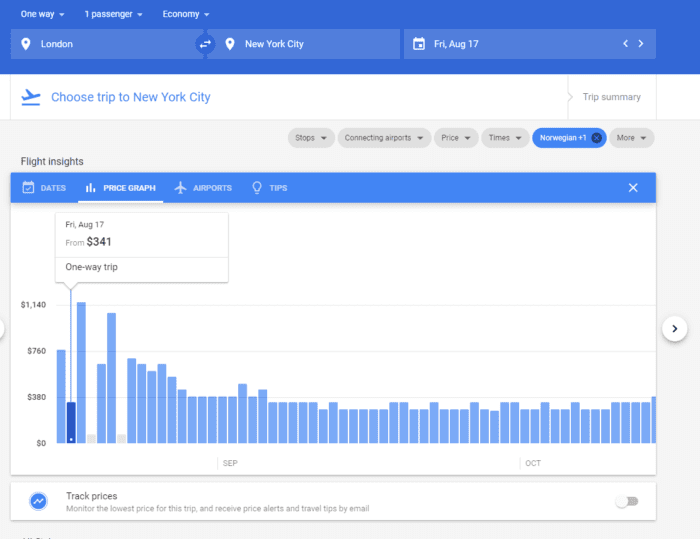 For example, a flight one-way to New York in November only costs $271 compared to an average of $700 with other airlines. 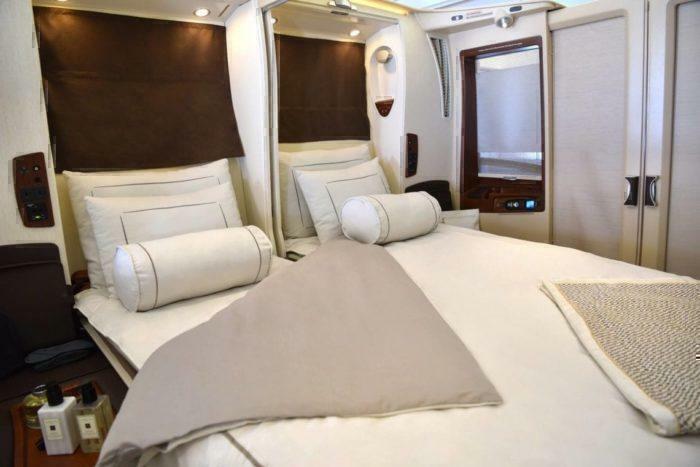 But industry experts have raised an interesting point, with each seat on the Norwegian A380 flight being sold for so cheap (First class being sold for only $614! ), is Norwegian even making any money? Before we begin our analysis, let us look at the perfect example of a cost-effective A380; a Qantas A380 on a flight between Sydney and Los Angeles. The following is based on data from the Australian Bureau of Infrastructure, Transport and Regional Economics. “Airbus A380, the largest passenger jet, costs between $26,000 and $29,000 per hour, using roughly $17,467 of fuel, approximately $40.19 to $44.82 per mile. A more detailed look at Qantas Airways flight offers a better understanding of typical costs. On a 14-hour A380-800 flight from Sydney to Los Angeles, the airline expenditures amount to $305,735; $11,414 in food and drink, $12,625 in staff pay and $37,157 in airport taxes and navigation services, and around $244,539 in fuel to fly the 484 seat plane. For perspective, Qantas charges $13,129 for one of its 14 first-class suites, $10,425 to travel in business, $2975 in premium economy and $1599 in economy. 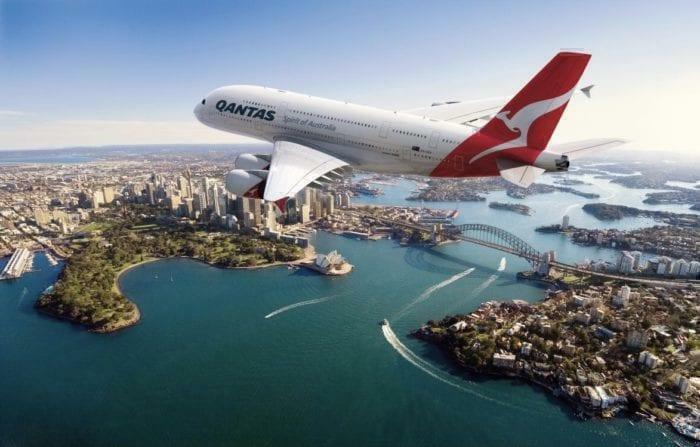 A Qantas A380 glides over Sydney. How much does it cost Norwegian to operate the A380? Oh, only $341. So, a profit of one dollar per passenger. Premium economy is a little more forgiving with Norwegian charging $936. And let’s not forget, Norwegian doesn’t own the plane, it’s a rental from HiFly, we can expect them to be making a profit on top. EDIT: Reader Chris from Chicago has pointed out our slightly inflated figures. Qantas has a different service model from Norwegian and in fact, Norwegian charges à la carte for food and other items, so the profit per passenger would be higher. But this isn’t all the costs that have occurred, hold on to your accounting hats because it’s about to get far more expensive. Since the service started running on the 3rd of August, every single Norwegian A380 flight has been delayed by over three hours. These delays seem to be from the fact that New York’s JFK has a limited A380 capacity, something that seems to have not been planned for when Norwegian booked the jet. Experts are not sure why it is being delayed at the New York end, as London theoretically has plenty of A380 capacity. These delays are not cheap either; according to EU regulations, if a flight is delayed over four hours, each passenger is allowed to claim a $600EUR ($700USD) compensation from Norwegian. So far only one flight has been over the four-hour limit, which would be a maximum fine of $308,000, double what the flight cost to run. Plus this extra time sitting on the tarmac would cost a fortune. Plus, the flight time is seven hours and fifty-five minutes. Yet being delayed by three hours pushes the staff overtime beyond the limit of eight hours meaning they need a second crew on board. Does HiFly even have a second crew? Who is paying their wages? Naturally, this does not make any financial sense and is one easy way to send Norwegian bankrupt. As Norwegian scrambles to fix these problems, we can speculate on their next steps. It would be simple (understatement of the day) to change the schedule to give them more access to A380 gates at New York, or change which New York airport it lands at. The big rumour of today is that Norwegian never intended to fly the Hifly A380 to New York’s JFK, but to another city entirely. If we were to hazard a guess, we would say that they originally planned to fly to Orlando. 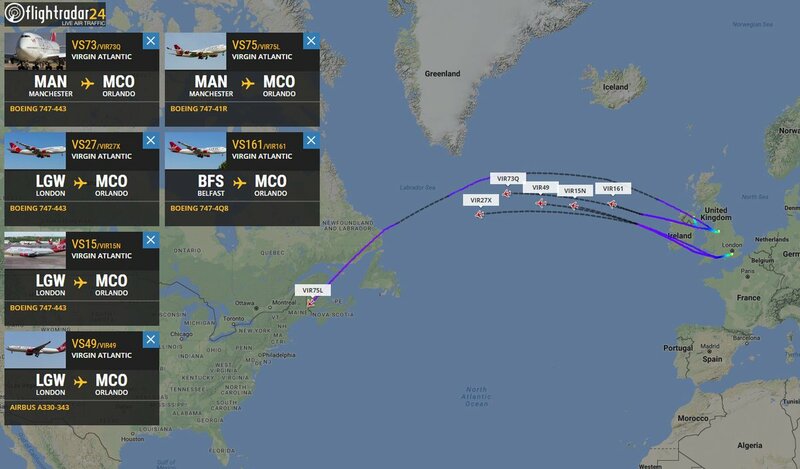 There is so much demand that rival Virgin Atlantic has flown five 747’s there in one day! Ultimately, we don’t know who will be shouldering this cost or if the blame falls on Norwegian or HiFly, but I am sure we will soon find out. If I’m not mistaken, Norwegian is receiving some compensation from Boeing or Rolls-Royce due to the engine issues. They’re a very valuable customer for both companies. Norwegian also has a long history of wet-leasing aircraft even before their trans-Atlantic days. I’ve personally flown on two different airlines when I bought a ticket within Europe on Norwegian. While exact figures aren’t disclosed, it’s hard to imagine Norwegian would contract for an A380 without running the numbers. While the analysis appropriately uses Qantas as a baseline, it also factors in additional catering, staff and tax costs that would not apply. Norwegian is a-la-carte for most passengers and overnight sales are lower. HiFly only needs one-crew for LGW-JFK (assuming they start fresh). Finally, landing costs are cheaper at LGW than SYD. Certainly, there are some growing pains for this arrangement, such as not ensuring JFK has enough A380-capable gates before dispatching the aircraft at the scheduled time. It appears Norwegian and HiFly have now corrected that by scheduling the flights later and giving passengers an opportunity to adjust to different flights. We’ll get a better sense of the financials when Norwegian reports its next quarterly earnings. Until then I’ll hold off on shedding any tears. Some great points here, I totally agree that we have over-estimated the cost as Norwegian would provide a different service offering than Qantas and that landing fees at Sydney Airport are higher. I will amend the article. Very true that its unlikely that Norweigan is fronting these costs and they would be compensated by Rolls-Royce. 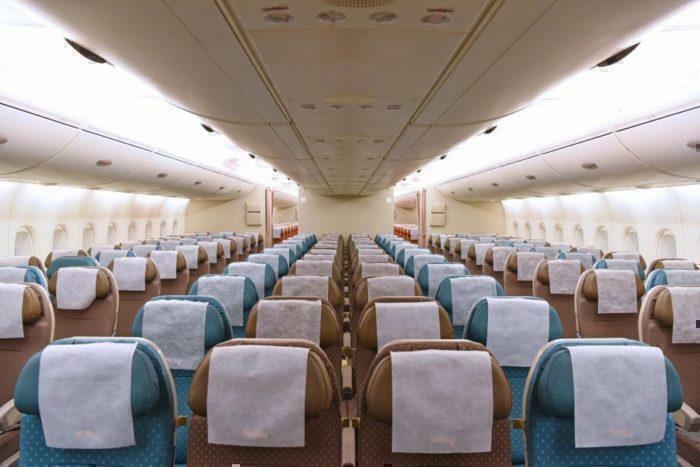 But we can agree that there have been some hiccups so far in this HiFly A380 service. It will be interesting to see how they go with Air Austral next month. That is very true, it is cheaper to hire the A380 than to cancel a B787 Dreamliner, so perhaps this is a cost avoidance strategy than to simply make a profit!